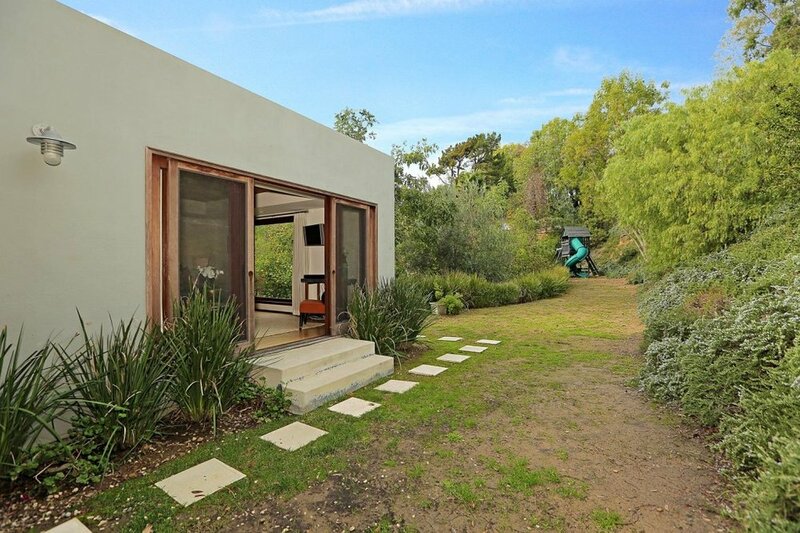 Nestled in the heart of Nichols Canyon. This home is sited on a large flat lot with gorgeous canyon and green views from every room as seen through floor to ceiling windows, located in an extraordinary serene setting. Light and bright open floor plan. Kitchen has black granite countertops, Viking range and stainless appliances. The living room flows out to a huge deck that runs the length of the back of the home, perfect indoor outdoor flow for entertaining. Also featured is a barrel vaulted ceiling, built in bookcase and fireplace. 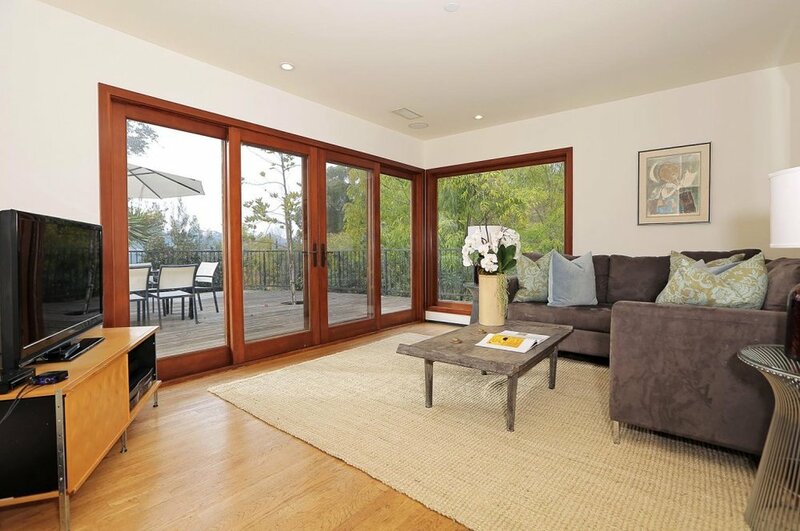 Wood floors, skylights, French doors, and more. Beautiful Master suite. 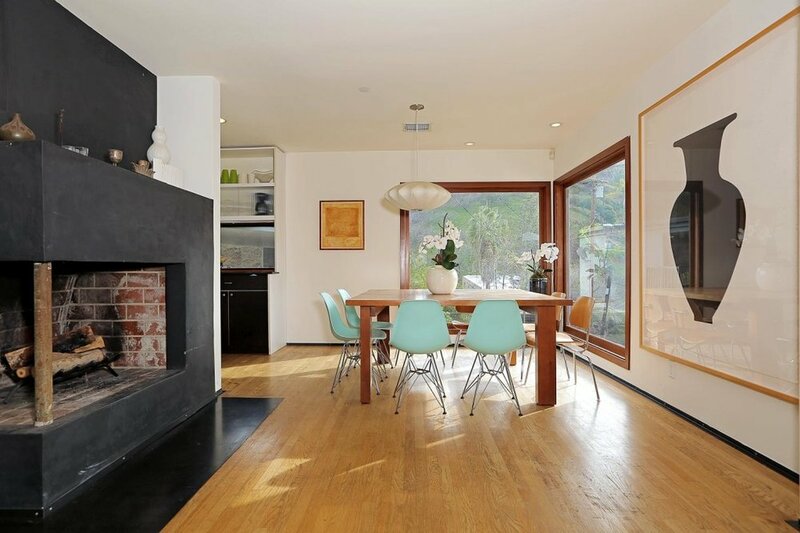 The perfect Hollywood Hills retreat minutes from urban city life. 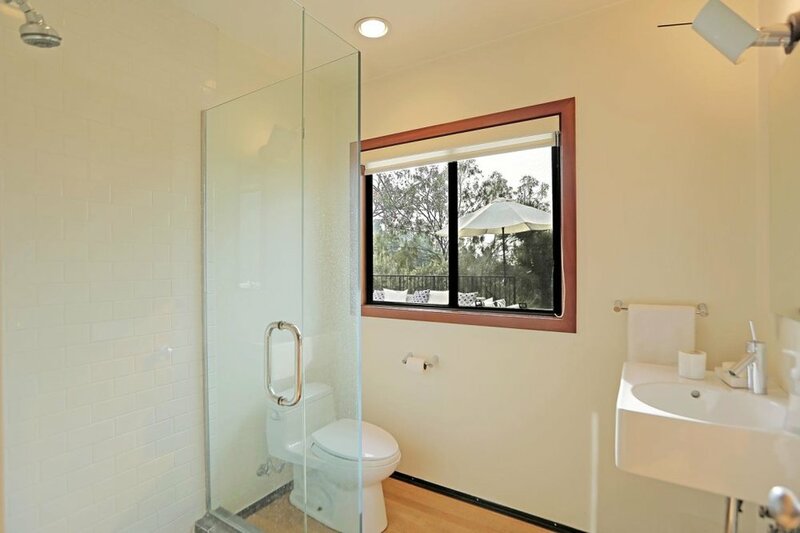 This home has the best of LA living.